Ed and Monica live in Cleveland, Ohio and were married in 1975, the same year that they both became born-again Christians. They have three children and six grandchildren. Ed serves IAM as its USA Director and Monica serves as Administrative Assistant. Ed also serves as Senior Pastor of Harvest Christian Church in Elyria, Ohio (HarvestChurch-Elyria.com) and has been on the pastoral staff at Harvest since 1985. 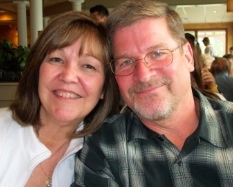 Ed and Monica have been in ministry for over thirty-five years and involved in missions for over thirty years. Ed and his brother Tom founded IAM Brazil in 1989 as a Brazilian non-profit organization. In the US, IAM has run under the auspices of a sister organization here in the US since 1988, and will incorporate in 2015 as a standalone US 501(c)(3). Ed and Monica and their two daughters lived in Brazil in 1991 while adopting their son Michael who currently serves as a US Air Force Medic in Charleston, SC. Ed has worked in manufacturing management and also ran another non-profit organization for over thirty years. 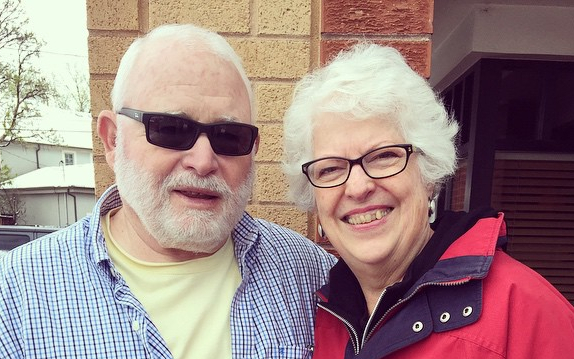 Tom and Kathy came to Christ in 1975 on the wave of the Charismatic Renewal that was sweeping the country. They became involved with youth ministry that same year and in the years that followed they began to work in prison ministry, foster care to troubled teenage boys and church leadership. It was after the death of Keith Green and during one of his memorial concerts that the call and vision for missions was solidified. In 1988 Tom and Kathy and their 4 children were sent out on a one year commitment to serve with the church in Brazil ministering to the many homeless children there. 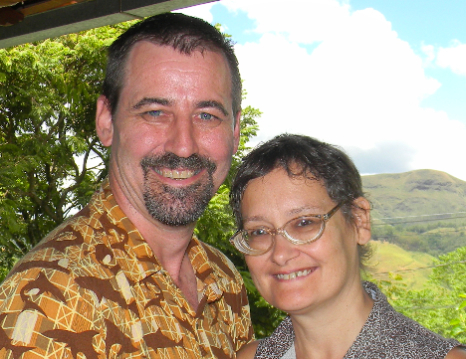 Over twenty years later, Tom and Kathy still serve in Brazil along with a team of dedicated missionaries which includes some of his own children and their spouses. This mission, the International Association of Missions (IAM) was first incorporated in Brazil as Associação Internacional de Missões(AIM), by Tom and Kathy in 1989. This year marks the beginning of a new chapter in the life of Tom and Kathy as IAM incorporates in the U.S. as a stand-alone corporation. Having functioned in the U.S. as a ministry of the Alliance for Renewal Churches, it’s with great joy and excitement that we see the ministry take the next step to see the Kingdom of God expanded across the globe. Today, Tom is the President of IAM in Brazil, the Alliance for Renewal Churches of Brazil and they are both involved in many of the ministries listed on the website in one capacity of the other. April is the youngest daughter of Tom and Kathy. April was at the impressionable age of 16 when she went to Brazil in 1988 with her family. April is uniquely gifted with children and so it is no wonder that she took a lead role in helping to raise many of the abandoned street children that her family took into their home. April met the love of her life in 1990 and married Judson Oliveira the following year. Together, they took several of the children into their own home, raising each of them into adulthood, where most are serving the Lord today. April’s husband Judson is very anointed as a worship leader and as such has national and international recognition and success. Judson is also an itinerate preacher and teacher and also works to bring pastoral care and counsel to numerous Brazilian pastors. Judson's ministry has taken him to many countries including Ghana, West Africa, Japan, Germany, Cuba, USA, and Argentina among others. His music is highly sought after with dozens of his own CD's and DVD's. April and Judson have three wonderful boys who have already begun to minister in song and word. Clube do Flechinha (Little Arrow Club) Founded and directed by Jonatas and Denise Oliveira is a ministry that attends to the area of children's education and social assistance. Denise has her Masters and Doctorate degrees education and Pedagogy. Denise programs educational events for children, teachers and leaders. Jonatas is graduated in Linguistics and is an educational tutor. He also develops teaching materials and is a known lecturer for leadership training. Their ministry has expanded to Venezuela, Bolivia, Mozambique-Africa and Japan. They have been married since 1997 and are the parents of Isabel and Ivan. Jonatas serves as the second generation president of IAM/Brazil. Denise also brings her gifting and skills as IAM’s office manager. Mike and Becky Kuelker have been married since 1981. They left Life Christian Church in St. Louis, MO on August 13, 1994 heading to Dallas. They completed the two year program at Christ For the Nations in May 1996 and went on to get their Cross Cultural Degree in December of 1996. From there they went to Kingsway Language Institute, where Mike took a 4 year college course of Spanish in only 9 months. He graduated December 22, 1997 and both were in Tepic on the 24th of December to begin their work with the Huichol Indians. The Kuelkers have three adult children and eight grandchildren. Melissa is originally from Elyria Ohio. She has been living as a career missionary in Brazil since 2002. Some time after she moved to Brazil she met a wonderful young man named Sagares Martins at a missionary school. They fell in love, and the rest is, as they say, is history. 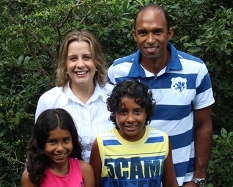 For the last 10 years Melissa and Sagares, together with the Padleys, have worked with a pastoral team based in Nova Lima, MG. Both work in a key support role with the whole mission in Brazil serving from the churches, to the prisons, to the Amazon. Sagares has become a valuable asset to the team by taking on a strong leadership role, helping to support the ARC in Brazil by serving in an array of areas. Melissa has worked with prison ministry for the last few years, helping with drug rehab classes in the prison and a half way house for recovering addicts and women who have come out of the penal system. Recently Melissa and Sagares have had to overcome a very hard season in their lives. They lost Kyle, the youngest of their two sons in April of 2011. God’s grace has been ever present in restoring hope to this lovely family. They have a son, Ryan and daughter, Emily. Today Sagares and Melissa are coming into a new season of their lives. Part of that will include moving to the Maués, a small city in the middle of the Amazon. They have taken many short term trips to the Amazon region helping the ARC missionary team there with well drilling, VBS, and conferences. They now feel lead to invest in the area on a full time basis. 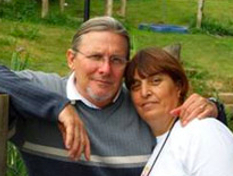 They will be joining an existing team there, including IAM Brazilian missionaries Marcos and Paula. Randall and Paula come from Manfield, Ohio. Each was convinced from an early age they would serve as missionaries, but only recently found their calling with IAM. As a computer professional, Randall will be providing technical support to all members of the team. Paula brings skills as an artist. They will also be teaching basic tropical agriculture. Scott & Jeanine Barnet have been married for 25 years and have two children who have just recently left the mission field to attend school and work on their own. The Barnet’s US home church is A New Beginning Family Christian Center in Port Orchard, Washington, pastored by Bruce & Renita Duggan. Several times in the late 90’s Jeanine traveled with her parents to visit friends of the family who are Pastors in Tijuana, Mexico. 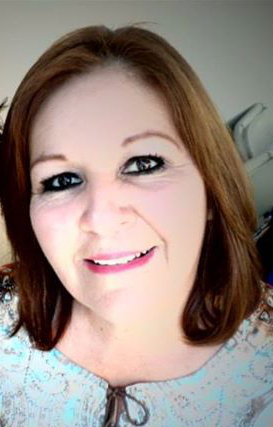 Her life dream was always to become a missionary somewhere, and she knew God gave her special calling to the people of Mexico, particularly, Tijuana. Scott was invited to go on a short term mission trip to Guatemala in February of 2000. Through this trip he came to realized that God wanted them to be working full time in the mission field. After more than a year of prayer and preparation, Scott, Jeanine, and their two children left Washington State on August 25th, 2001 on a drive to Tijuana Mexico. In the last 10 years God has called Scott & Jeanine to do many things in Mexico and work with many other ministries hand in hand. Most importantly of all, seeking out and maintaining relationships with the people of Mexico. Their ministry is Baja Soul Patrol… seeking out lost souls for the Lord. Their website is detailed with the activities and ministries. 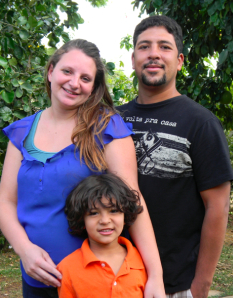 Marcos "Marquinhos," Paula, Gabriel, Melissa serve as missionaries in the Amazon region of Brazil. As a family they were sent out by IAM/ARC from Nova Lima, Brazil. Marcos and Paula first met as childhood friends while growing up in Nova Lima. As a teenager, even though raised in a Christian home, Marquinhos went through a time where he walked away from the Lord. Around 15 years old, Marcos rededicated his life to Christ, and began to be discipled under Tom Padley in the church in Nova Lima. Paula later came to Christ through the influence of both her friend Marquinhos and a visiting ARC missions team who shared the gospel with her when she was about 16 at the church Tom was pastoring in Nova Lima. Both "happened" to be on Tom and Kathy's first missionary outreach to the Amazon region when Tom was a part of the leadership at Christ For The Nations/Brazil. With Tom and Kathy leading the outreach, they noticed a "spark" between the two while on the trip. After counsel and a season of courtship, Tom officiated their wedding and the Rosa family has been with Tom and Kathy ever since. Sent out from the little Nova Lima Church to Maués, Amazonas, the IAM/ARC mission in the Amazon Jungle has grown under Marquinhos' leadership. 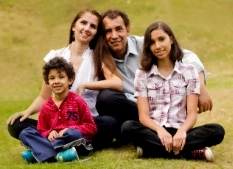 Marcos is now an ordained pastor of the ARC Brazil and director of IAM for the entire Amazon region. Marcos and Paula direct the ongoing work with the Sataré Indians in IAM, with evangelistic river launches, and fresh water well drillings which are available to all Amazon communities when requested. Marquinhos gives pastoral care to an impressive team he has organized from our own Brazilian missionaries. He manages IAM's boats, drilling equipment, and the mission's Amazon home base. Marcos also is a Business Management graduate with a clear vision and strategy for reaching the communities for Christ in the Amazon's Maués region. 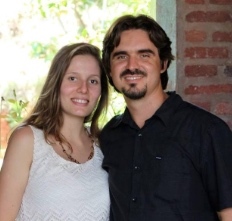 Marquinhos and Paula are both on IAM's Brazilian Board of Trustees and Marquinhos serves in pastoring of pastors through the ARC, sponsoring the ARC pastor's conferences in the Amazon. Ruidemberg "Rui" began his ministry in May of 1972 as a evangelist, he was ordained to the pastoral ministry in April of 1991. He is the senior pastor of the Igreja Batista Poder da Palavra, (The Power of the Word Baptist Church) in São Paulo, Brazil. He holds a Bachelors degree of Divinity and a Masters in Theology with the Springs of Life Bible College and Shalom Seminary in Ohio, USA. He is married to Iraci Valentim de Novães, the father of two married daughters and two grandchildren. Rui is a conference speaker, and teaches seminars on the restoration and strengthening of the family. He teaches on the strengthening of the church and leadership. 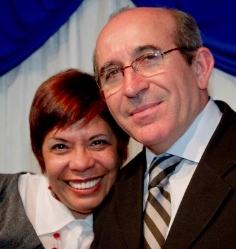 His wife Iraci also ministers and has graduated from The Power of the Word Bible Institute. She is a teacher in the area of discipline and the Christian family. Iraci is working together with her husband Rui in the important role as a counselor on the family. She is a writer and teacher on God's pattern of the family. Together they have worked in developing missionary projects in Namibia, Africa and other neighboring African nations since 2009. 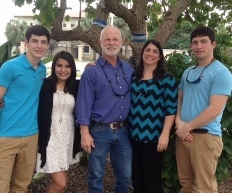 Roy and Rebecca have been married since 1986 and have 5 children. Two of whom are grown and reside in their home state of Alabama. 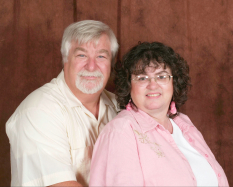 The Busbys, started taking short term mission trips to Reynosa, Mexico in July of 2001. Roy was involved in construction projects and Rebecca with ministering directly to the Mexican people. Each year after that first trip, their time in Mexico gradually increased, with Roy partnering to lead other construction teams. Then in 2008, with a donated camper, and God's calling on their lives, they moved to Mission, Texas to be closer to the people God has called them to minister to. Fast-forward to 2014, and they are now able to stay in the mission house that God has provided in the Colonia in Reynosa. They lead mission teams from all over the US and Canada, with an emphasis on discipleship. Roy is mainly involved in the construction of homes, and working in the trade school. Rebecca is involved in one on one ministry with the women and children, and helps secure sponsorships for school, and medical needs. 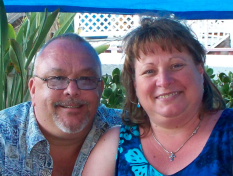 We are Larry and Cheryl Pambianco from Denver, Colorado. We have lived here for 40 years as we both originate from southern California. While I grew up in the Los Angeles area Cheryl grew up all around as hers was a Navy family. When we met she had been living in the Los Angeles area for quite a few years. We both came to know Jesus at an early age going to church regularly but by the time we were in our teens were much like so many young people, off to try the world. In 1969 at the height of the Jesus People Movement we both came back to Jesus, in different ways, places and intensities. Mine was very dramatic in a hippie commune in Oregon, hers at a college campus in Los Angeles. Nevertheless, we both fell in love with Jesus all over again and life has not been the same since. It was at that point I also received my calling from God to work with young people. The rest is history. We both knew of each other as we were in the same fellowship of churches in Los Angeles. By 1972 I moved to Denver to help start a church as the youth and worship pastor. By 1975 we had met and were married eventually having 2 daughters. All information aside, I think we’d have characterize our journey in faith in Jesus as being very challenging, exciting and unconventional. I’d have to say my calling in Christ as a youth pastor seemed to be the defining factor as to how our life has gone. I have not been a rather run of the mill youth pastor but quite the adventurer going after the unloved, the unseemly, alternative, outsider type kids. Cheryl has been a great partner in this endeavor as she loves having small groups of kids over for dinners and she loves to pray for them. We have made a good team. Currently we go to Scum Of The Earth Church in Denver. It is a church in an urban area of downtown that mostly consists of urban artists, street kids, many sub cultures and those who don’t want to have much to do with the conventional form of life or Christianity. We have been involved in developing worship and prayer along with mentoring young leaders. It has been a wonderful experience to say the least. It is our home having been ministered to and being free to love on and minister to all these great young people. Cheryl is a retired housewife and I continue to work with younger generations. I have my own ministry in which I function as a consultant to churches and ministries on how to reach young people more effectively. I am also very involved with a grass roots prayer network in Colorado that does strategic worship and prayer events. Our focus is to rally people consistently to cry out to God to come with an unprecedented move of His Spirit to once again capture a generation of young people. My late husband was, from a very young age, using alcohol and drugs, was in prison and that is where he met the Lord. After he got out of prison he knew not to go back to where he was from, because he would end up failing. My mother met him at the church where she pastored and gave him the opportunity to help build the church, which is where I met him. After that, seeing God through it all, we fell in love. Our girls grew up at this church, until God gave my husband a calling, which was to go and pastor a little church that didn’t even have a ceiling yet. He accepted. After some time I joined him, and that is when I left from being the pastor’s kid to the pastor’s wife. After his death, I became the pastor of that small church. I believe God had been preparing me since the very start to be where he has me now. I’ve known the Lord since I was in 5th grade, my mother was a pastor, and served in Mexico. I served where she pastored, as a Sunday school teacher, Women’s leader, Worship leader, I served in the kitchen. Then I became a pastor’s wife, when he went to pastor at El Shaddai in Tijuana, Mexico where I served in whatever was needed. When my husband passed away, God told me I was going to be staying at El Shaddai, He said I was not moving anywhere and his people needed me. So then I became a pastor. I’ve been serving as a Pastor for seven years now at a church in Mexico while living in San Diego and crossing the border as needed. At El Shaddai it is a very poor area, our children will arrive there with no shoes sometimes because they have nothing to wear. We have a Feeding program named Pablo’s Pantry, where Grace Church helps us out and sponsors for it to happen, we give them a meal that for some children it might be the only one all day, on Monday, Wednesday and Fridays. Going to school in Mexico is very difficult because it is very expensive; adults get paid about 10.00 dollars a day. Which is not so much and sometimes parents cannot pay for their children to go to school. There are some brothers and sisters from Grace Church who sponsor some of our children to go to school. It has been something amazing and inspiring. I love doing what I do, and serving our Lord that is most important. 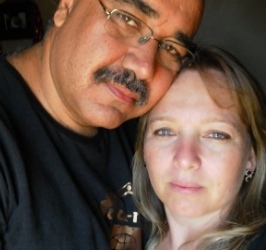 Walter and Cynthia are missionaries connected to the International Association of Missions (IAM) Brazil and submitted to the elders of the Alliance for Renewal Churches, where they have served the past few years. They are founders of the work that today is the “NGO Mission Terra Ronca” in a place of difficult access 1025km from the base of IAM-Brazil, where they have developed mission work since 2012. They are developing a full-time work based on relationships with the local population through visits, evangelism, and discipleship. This work serves a rural region in a 40km radius, holding meetings in homes with distances up to 20km of each other accessed only by dirt road in disrepair. A project is being developed to build a mission base along the roadside of the ecological reserve, on a plot of 12,000m2 of land with a simple structure that will meet the needs of the work with the surrounding villages. In addition to church activities, technical training courses are given about rural work to help with the income of local families and environmental conservation. Melissa's first missionary journey was in 2002 and it was there that God told her to get her teaching degree and follow Him to the field. After graduating from the University of Northern Colorado, she visited Uganda in 2009 and felt that God wanted her there. 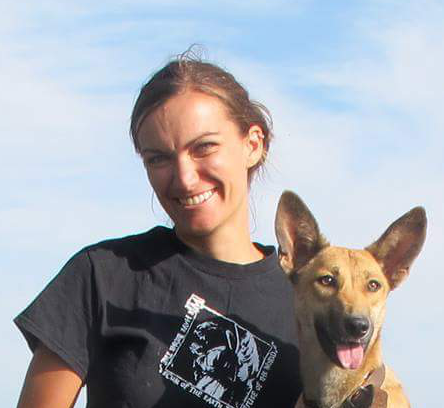 She moved to Northern Uganda in 2012. From educational initiatives in a former Internally Displaced People's Camp to directing a local Christian school, she ministers to people through her role as an educator. Melissa now oversees “Connect Education Centre”, a new primary resource center with a children's library, model classrooms, and teacher training room. The center was founded by British charity, ServeDirect and also forms a base for READ for Life Uganda. It serves the local schools surrounding it as well as the wider community with various educational programs. Along with her colleagues, she helps to address educational needs particularly in Literacy, English and Math. Gulu was at the center of Uganda's most recent war lasting over 20 years, but the effects continue to be evident today. Educational, social, and developmental needs run deep. Over 70% of children drop out before finishing primary school - with obvious disastrous long term effects. This is largely due to extremely low literacy rates among school children who have to repeat grades year after year. The Connect Education Centre seeks to support schools in addressing these issues.